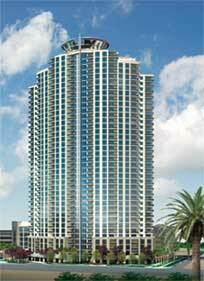 There are a few remaining luxury Las Vegas high rise condominiums available with prices starting from the mid $500,000s with a penthouse going for $4.5 million. The Allure condos square footage range from 671 to 4,400. The Las Vegas Nevada real estate in Allure is estimated at $150 million. The land that Allure Las Vegas sits on was a joint venture with Fifield and Andrew Fonfa, the land owner. There were plans to build a condo hotel but that was canceled. The hi rise tower is on an accelerated 25 month construction schedule with most efforts now on the building’s interior. Today’s Las Vegas real estate podcast show is Fine Homes Las Vegas chat with Bill, Las Vegas real estate agent, and Jason, home mortgage lender, with Countrywide Home Loans for Sullivan Square Las Vegas. We get an insight to Sullivan Square real estate pricing, location, construction status of this beautiful Las Vegas mixed use project in the southwest Las Vegas Valley. Today’s podcast show is Fine Homes Las Vegas chat with Bill, REALTOR, and Lynne with Allure Las Vegas. We get an insight to Allure’s construction progress, pricing and location of this beautiful Las Vegas high rise on the Las Vegas Strip.